Call Keystone Martial Arts in Coraopolis at 412-262-1819 to schedule your first week of private lessons FREE. Mention this web offer when you call, and you will also receive a 2nd week of private classes FREE, with no obligation whatsoever. Upon enrolling in your first full month of classes at Keystone Martial Arts in Coraopolis, you will also receive a FREE uniform. Altogether, this offer is a $70.00 value, at no cost to you, so call NOW! This offer is only good at Keystone Martial Arts in Coraopolis, and cannot be applied to our Cranberry location. Offer good for new enrollments only. 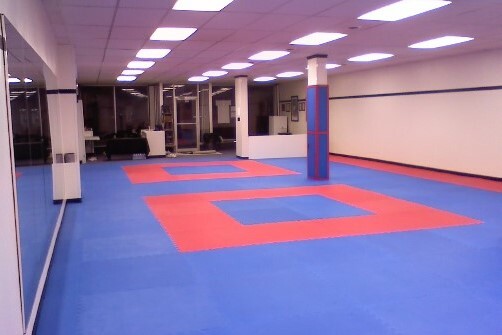 Keystone Martial Arts in Coraopolis operates in a commercial storefront. Students searching for an environment focused on training will certainly find it here. We personally reconstructed this location to fit our goals of professional appearance, inviting atmosphere, and training focused environment. Our training floor is covered with martial arts mats to help prevent injury and protect joints. We offer full length mirrors and the necessary equipment for personal training development. For family and friends, Coraopolis has many food establishments within walking distance to pass the time. Click here for directions to our Coraoplis location.